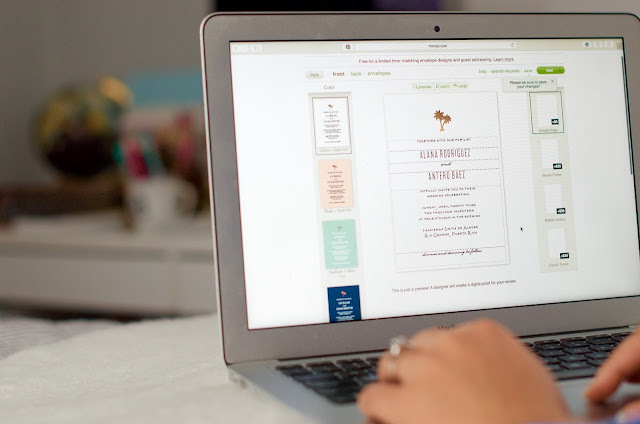 Wedding invitations can be stressful however I am so glad that I teamed up with Minted to create mine because the whole process was stress free! I am planning a destination wedding to Puerto Rico in April and although some parts have been extremely stressful (family flights, floral arrangements, food etc) the invitations have not! 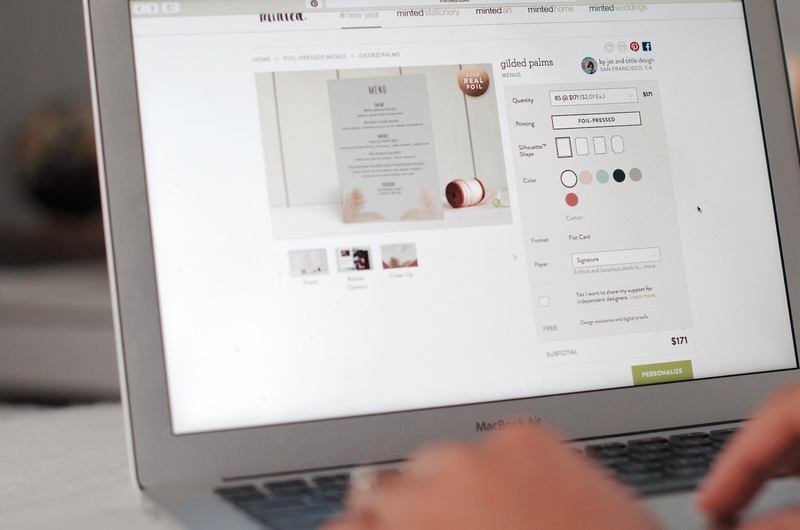 Ladies, Minted.com is so easy to navigate and have many designs to choose from. I wanted my invitations to be clean, simple but add a delicate touch of the tropical destination. I love the ones that I chose with a simple touch of a gold pressed palm tree on top. 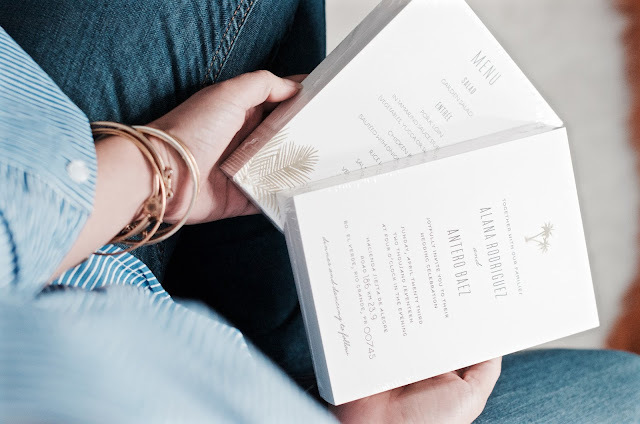 Minted allows you to change the font size and style and also the background color of your invitations. "dinner and dancing to follow." I absolutely love the way the turned out! 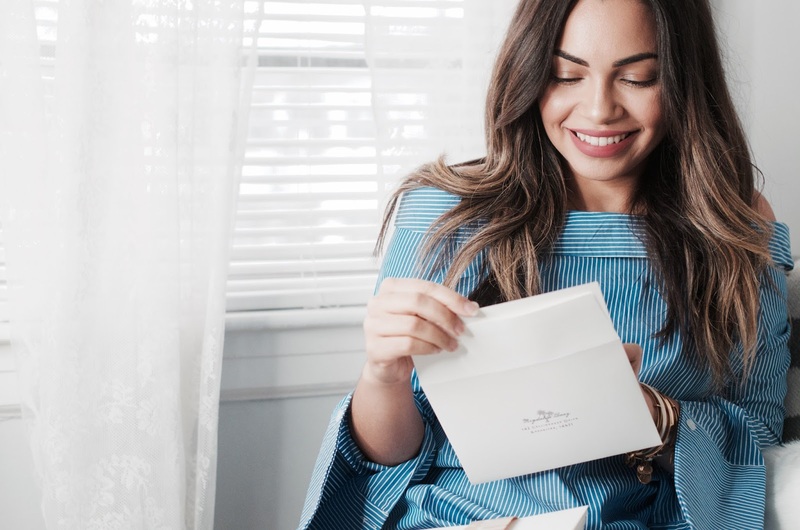 Minted also offers the option to print your invited guests addresses on the envelope along with the option to create custom stamps. 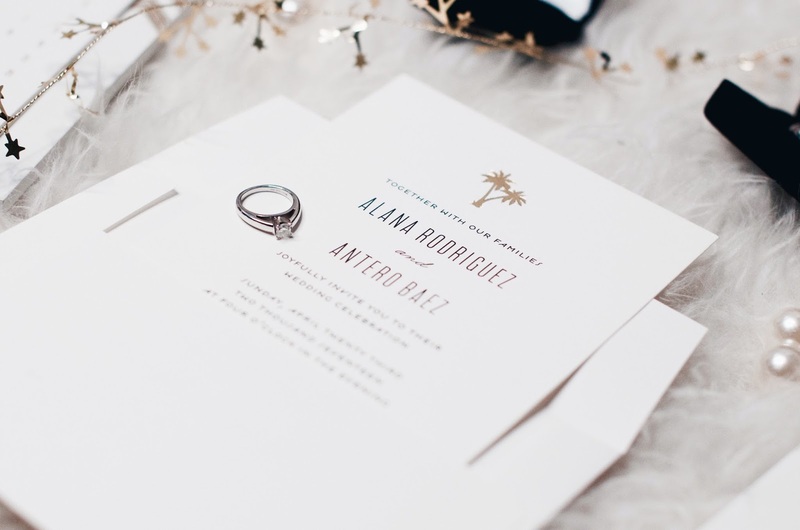 Our envelopes continue the tropical theme with a palm tree printed on the envelope placed behind the guests address. I also ordered RSVP cards with self addressed return envelopes. Minted also allows brides to be to create more personal touches to our wedding day. One of my favorite options is the Menu card. 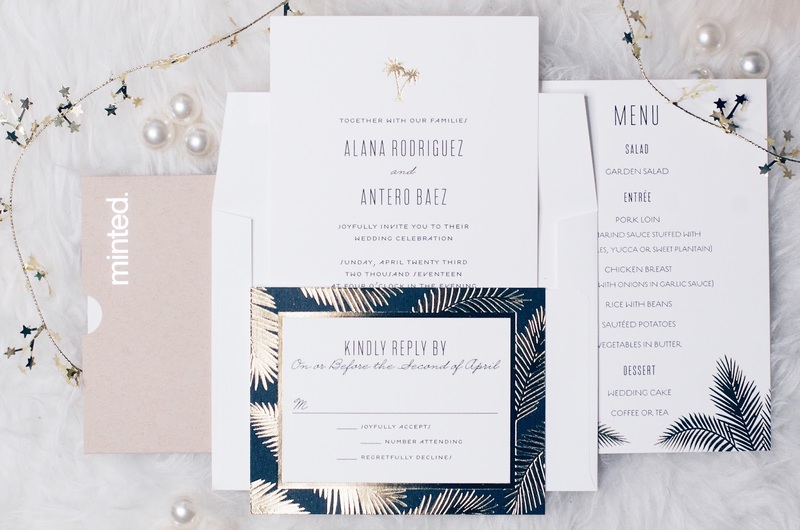 I chose this style card because the gold pressed palm tree leaf print in the bottom corner flowed with the invitations. I have an idea of putting the menu in a beige colored linen napkin for a personal touch. 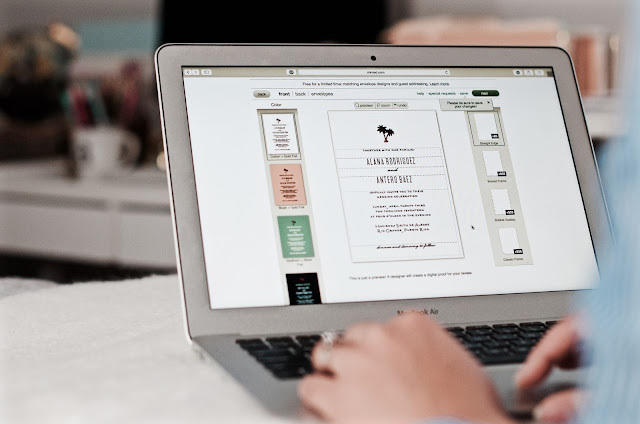 You can also order table numbers, place cards, table linens, reception and direction cards and thank you cards! Everything you can think of ladies they have it! A one stop shop for our wedding needs. Yay!! Finally I'm so happy for you and Antero. Can't wait for little Baez babies ❤. Love you and God Bless you both!